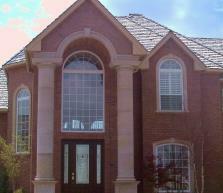 Here at Affordable Precast we specialize in the molding and fabrication of affordable customized Precast Stone. We offer of a wide variety of styles, sizes and colors, as well as, eight standard colors to complement any project or fit any budget. Custom fabrication is readily available to enhance your own individual unique look. Affordable Precast takes pride in making a durable and uniform product that you will be proud to add to your project or property. All product pictures on this site are molded and packed in our shop located in Shawnee, Oklahoma. We offer Tri-State delivery, installation and several crane services to assist you in making your dream come true! Please contact us today for a free consultation and quote. Thank you and have a very blessed day.